Last week Chad Moyer said that one of his greatest challenges with Chi Gong is to move out of “doing” into “following.” I am used to considering “doing” vs “being”, so this language caught my attention. He explained that it is easy to fall into “doing” the movements of Chi Gong, to reach for a perfection of balance, movement, etc. What’s more important, however, is that once a movement is intended, like dropping the tailbone, for instance, then to shift into “following” the body in that intention, stepping away from the intention of doing the movement and instead following the body as it engages with the intention: following the abdominal muscles, the muscles of the thighs, and other processes of the body as dropping the tailbone unfolds. It is like following a higher intelligence that resides in the body. I realized this is what we encourage in our work at liberty with our horses which leads to such profound interactions. We intend some interaction with the horse, whether it is feeding, exercise, schooling, grooming or whatever. But then instead of monitoring the “doing” of that activity, we move into a higher intelligence that dwells between the two beings, horse and human, so that a fluid, back and forth interaction takes place. There is a kind of magnetic connection that becomes palpable as that higher intelligence is entered into: a give and take between horse and human, with a dance-like feel to it, fluid and yet purposeful. This process is one of the most personally nourishing and rewarding things I do with my horses, and it is a reciprocal thing: the horses love it, too. 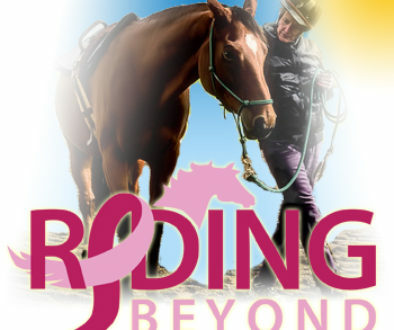 And more: it is this entering into the higher intelligence between horse and human that makes it possible for complex, healing interactions to occur between horses and clients. At the simplest level, for instance, we greet a horse: approaching from the front, noting the horse’s body language and responding to their signals, eliciting their welcome, then touching their muzzle. 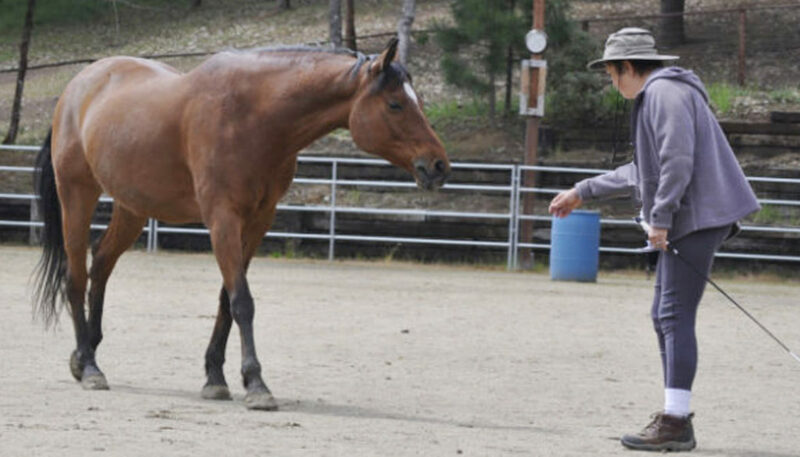 When the greeting goes beyond just practicing those actions, and the client begins to enter into something more with the horse, entering that “higher intelligence” that lies between the two, then remarkable interactions happen. The horse gently touches a place of pain on the person’s body. It steps into position to wrap its head and neck around a grieving person. A client chattering out of nervousness, becomes silent and gives a gentle full body hug to the horse. A horse walks or trots away from an anxious client, who may then seek a way back into connection. There is a quality of being deeply seen between the two: both horse and human feel a remarkable recognition of one another from that place of higher intelligence between the two.